As the famous saying goes, “Paris is always a good idea.” But is that really true? 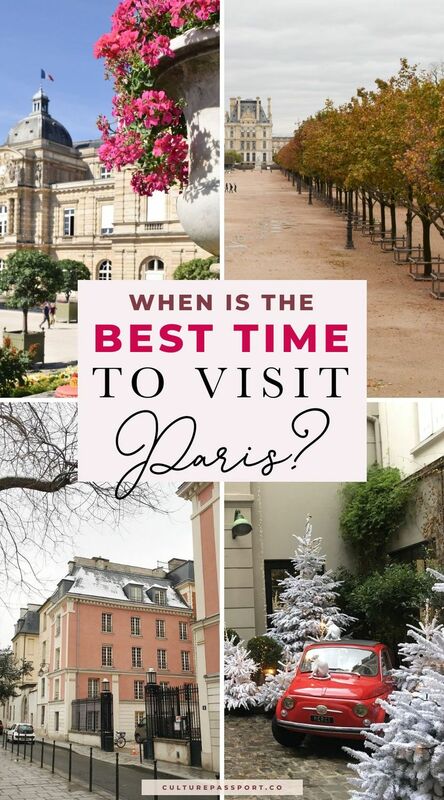 As someone who has lived in Paris and seen it during all four seasons, I’m happy to share my personal opinion on the often asked question: When is the best time to visit Paris? Before I share my advice, here is an overview of Paris during each season to help you determine when the best time of year to visit Paris is. Paris becomes quite lively in the spring, when residents and tourists alike are happy to spend time outside again after the cold winter. Flowers and trees begin to bloom, adding some much-needed color and life to the city. I love spending spring in Paris because I can walk around comfortably without getting too hot or too cold. The earlier you visit in spring, the less crowds you will face, too! April and May are probably the most ideal months for a spring trip to Paris, but beware it tends to rain quite often during spring. Pack an umbrella and good trench coat and you should be fine! Temperatures in spring will typically reach a low of 45 and a high of 70°F (7 – 22°C). Obviously these cooler temperatures will be normal in March, while the end of spring can see warm sunny days that feel like summer! There are a ton of things to do during spring in Paris, as well as some key events taking place during the season. Here is a short list of things to consider doing during a springtime visit to Paris! Visiting Paris in the summer can be a blast! 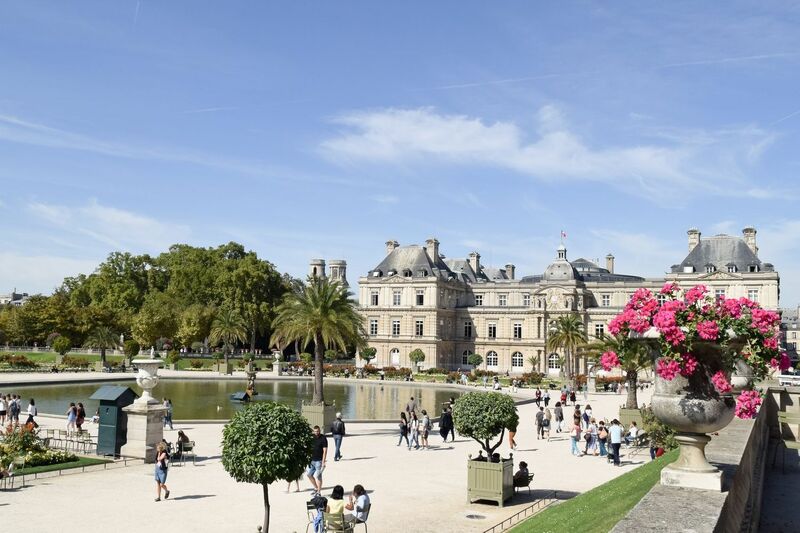 The hottest months of the year mean you can enjoy Paris outdoors in comfortable temperatures. The parks are filled with Parisians, and the Seine is lined with groups of people enjoying rosé and treats, basking in the warm summer sun. You may think that summer is a good time to visit Paris, but don’t forget that much of the city shuts down during the month of August – when most locals flock south to enjoy weeks away from the hustle and bustle of the big city. June and July are pleasant months to visit Paris, however, if you’re willing to pay the inflated prices that hotels and businesses can charge to peak summer travelers. Know that it’s rare for hotels and apartments in Paris to have air conditioning so be sure to check beforehand if you find this necessary. I personally really enjoy summers in Paris and the tourists are never too much of a bother to me because I don’t really frequent those areas anyway! Paris summer temperatures will usually reach a low of 54 and climb to a high of 77°F (12 – 25°C). Luckily, the city rarely sees heat waves, and it’s uncommon for it to ever get too hot for comfort. When the city starts cooling down and the streets start filling up again, that means summer is officially over. Don’t worry, the cultural events start piling up in autumn, and you can find plenty to do. From gallery openings to art fairs, fall is a great time to visit Paris if you are into the arts. 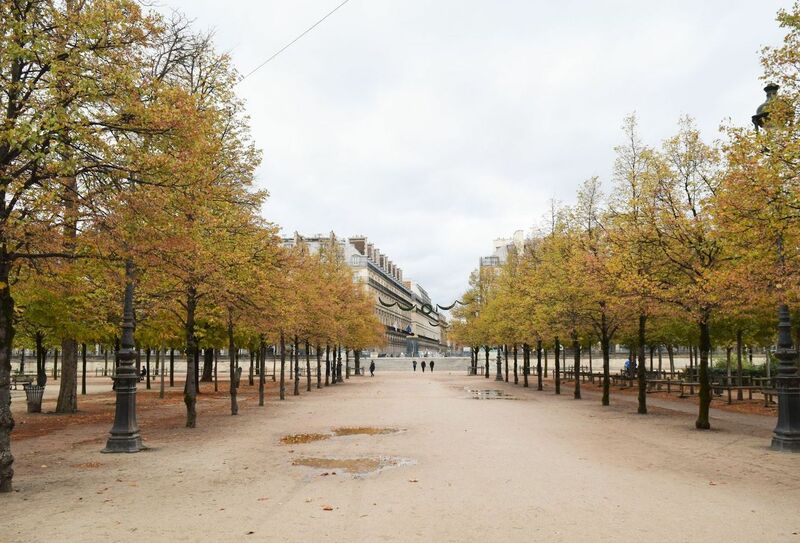 My favorite thing to do during fall in Paris is simply to admire the beautiful changing colors of the trees, though! Fall in Paris is a nice compromise between fewer crowds, affordable pricing and comfortable temperatures. Like in spring, it’s easy to be outside in Paris for long stretches of time because you won’t get too hot or too cold if you dress right! The key to visiting Paris in fall is layering! Bring your thick sweaters and wool scarves, and remove them as necessary. Fall temperatures in Paris will be chilly reaching a low of 38 and rising to a high of 61°F on average(3 – 16°C). The temperatures can fluctuate in September and early October, so you may get lucky with an unseasonably warm early fall! Thinking about going to Paris in winter? Winter is probably the best time of year to visit Paris if you are trying to visit Paris on a budget or avoid crowds. Hotels prices fall, and crowds won’t bare the cold temperatures to see the sites. The good news is that you can still get an authentically Parisian experience with the right planning. If you’re lucky, you can be one of the few to see a magical snowfall in the city! Look for heated terraces if you visit Paris in the winter, and double check the opening times of attractions you want to visit as many have reduced hours. Keep warm with a cup of vin chaud, or hot wine, a favorite Parisian drink of the winter season! Don’t forget your hats, gloves, and warm scarves when packing for Paris in winter. Average winter temperatures in Paris are quite low, reaching an average low of 36 and growing to a high of 54°F (2 – 12°C). It’s not uncommon for temperatures to drop below freezing in the middle of the winter season, so bundle up if you head to Paris in the winter! So, when is the best time to visit Paris? So now the answer to that eternal question! If you ask me, the best time to visit Paris is during the spring or fall, depending on your preferences. I adore the colorful fall foliage in October, but I also love the freshness and excitement of the spring season – not to mention the beautiful flowers and cherry blossoms that come alive. It’s really hard for me to choose just one season to visit Paris, but if you visit during any month that isn’t the dead of winter or the month of August, then you’re in a fabulous position to have an amazing time in Paris!